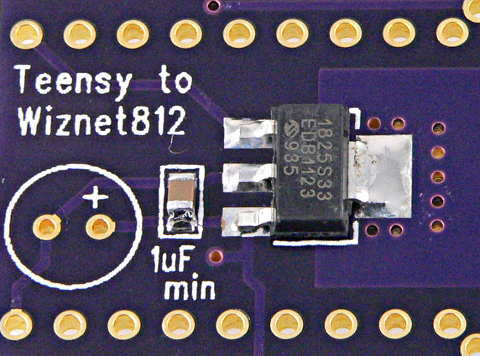 This kit lets you easily connect Teensy to a WIZ812 ethernet module. 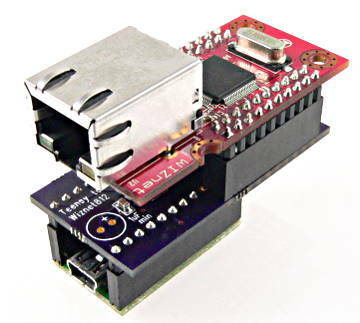 This adaptor is meant for Teensy 2.0 and Teensy++ 2.0. 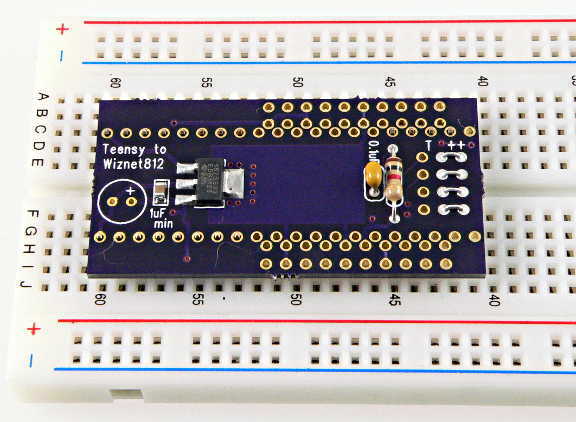 It does not work with Teensy LC, 3.0, 3.1, 3.2. 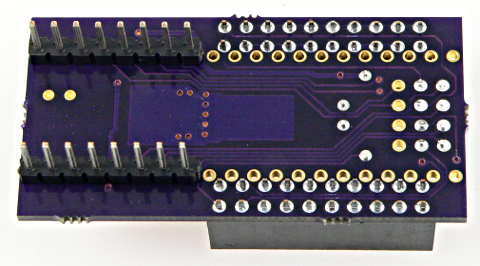 The Arduino Ethernet Library is fully compatible. 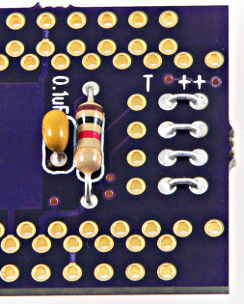 Only the first 8 pins are needed. 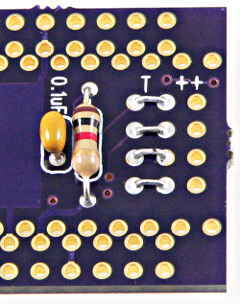 If the other pins are soldered, the solder joints can prevent the 20 pin sockets from mating flush with the board. 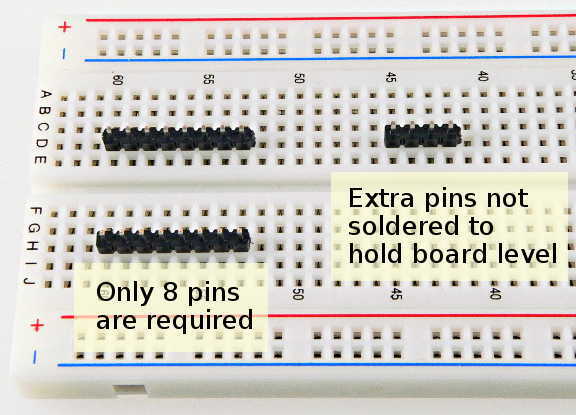 If soldering header pins, a breadboard can be used to keep them aligned properly.